Setting up Google AdSense is the dream for many bloggers, especially beginners. The reason for this is, most people either don't know about, or don't have any alternate sources of income for their blogs. Hence, AdSense has become their go-to place when it comes to making a living online. A lot of people have asked me this; how to use AdSense correctly and earn more money through it? Indeed, when you think about it, it's no piece of cake. It requires much thinking and effort to do it correctly. From choosing the right colors to reducing you bounce rate, there's indeed a lot that can be done. In this post, I'll hopefully address some of the problems that people face. Patience, my friend. Some people, especially beginners, seem eager to set up AdSense ads. Too eager, in fact. So much so that they set up ads merely weeks after setting up their blogs, if they get approved, that is. What most fail to understand is, a high traffic is the key to AdSense. You can only benefit from these ads if you have a decent amount of traffic flowing. Prematurely setting up ads may do more harm than good. Not only will you generate little income, you existing traffic will stall as well. Why? Well,think about why Wikipedia is the leading source of information. It has no ads! Even if they were to start advertising now, it wouldn't make much of a difference. But sites that start anew, but incorporate ads from the very start lost their credibility. Secondly, earning online is a game of patience, where the impatient often tend to lose. Rushing into things will make things messy. The messier they are, the harder it is to extricate oneself from them. So being patient might pay off. 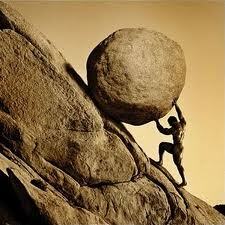 Besides patience, you need to have determination, and the will power to work hard every day. And be ready to accept what you are getting. You need to make sure that you have a similar mind-set before setting up ads on your website. 'Above-the-fold' refers to the visible part of a newspaper or magazine that is lying folded on a shelf or a table. In other words, its the area where the eyes first snap to. When a visitor lands on your page, he/she first looks at the top, left side of your website. Normally, this is where your page header and/or site navigation lies. If possible, use an ad banner directly below your header. People need to see your ads if they are going to click on them. Don't use any other major ad blocks in this region, though. Your site should not look cluttered with ad banners right from the top. A banner at the top and a smaller block in the sidebar is the maximum you should use. If your site looks cluttered with ads, your bounce rate may increase alarmingly, which should not be allowed. Opinion from various bloggers shows that the most popular ad blocks are; 330x250 for images, 336x280 for text ads, and 160x600 for side-bar banners. Use these different ad block sizes for the best performance. 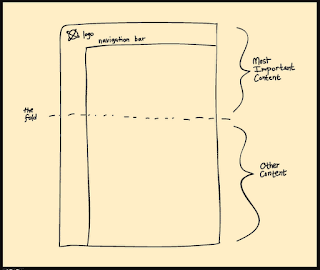 Aside from using ads in the above the fold region, you can place ads in other key areas. For example, above your posts as on this very page. Don't place ads in the middle of your content though. This is very annoying, even to a blogger-sympathetic person like me :P.
Also, use a reasonable number of ad blocks. Don't use too many ads blocks. Google AdSense puts a limit on this number in the first place. But that doesn't mean you have to cap that limit. Just don't use so many ads that your website looks cluttered. Most people over-look the importance of this simple point. Try out different color schemes with your ads. Contrasting colors are generally preferred. Some people try to fool their audience by using the same ad colors as their blog theme, and putting the ads hidden between their content. This does not fare well with the audience. Your ads must be clearly visible. Don't try to mess with the ads though. Adding stuff like borders won't make Google happy. Google AdSense has some very strict rules and terms of services. Make sure you read them and adhere to them. In case of any violation, your account might get banned, which is one of Google's favorite things to do. Don't give them any reason. Don't click on your own ads, don't over-use ad blocks, don't use pop-up ads, etc. People search for images almost as much as they search for text. Therefore, it is highly likely that visitors would stumble upon your ads through an image search. Upload high quality images to your log to increase your traffic and generating more income. You might be smart,but Google is smarter. It isn't the leading analytics provider without a reason. Using dynamic IPs and proxys to click on your own ads can still land you in trouble. Asking your friends to click daily won't do much good either. Google carefully monitors the click-through rate to audience ratio from a particular country. So if you are planning to out smart Google, forget it. You will most likely end up in trouble. Where is Mohammad Bro ?? First of all I would like to say thanks to Admin of this site because I learnt lots of things from this. Nice post I just liked it and want to ask something about ads placement, can we use adsense below post title as it's showing in this site? Is it risky or without no tension we can use it? Thanks Bro... its awesome Article, and Great tips. 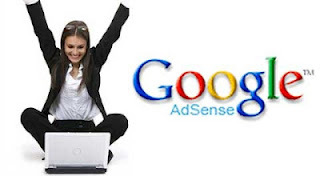 i am new to google adsense and it wil helps me a lot.